A photography podcast for everyone. Short one this week! I've had a bunch of stuff going on, but I wrote a blog about how the world of "wedding photography blogging" I could talk about this topic all day, but you can read the post here: https://www.willmalone.com/blog/2019/4/9/blogging-its-just-what-you-do I have a bunch of stuff I want to fix in the post, but it's out there, so I'll do a follow up later. Basically, I just push back at the idea that people need to feel pressure to blog photo sets just because other photographers do it. You do you. Sign up for my newsletter! Follow me on Instagram! Here’s a bonus episode where I share something I preach to myself about how young of an art form photography is and how writers and musicians have it way harder. This episode is all about perspective. Anna comes on the show and spend the bulk of this episode talking about and SPOILING Jordan Peele's latest horror outing, Us. This episode also coincides with a blog post I wrote about how Jordan Peele's transition from comedy to horror and what photographers can learn from that. You can read that here! Thanks for listening! Sign up for my Wednesday newsletter! Follow @willmalone on Instagram! In this week's episode of Out of Focus, we talk about the dark hand of Facebook and the power it has over our businesses as seen by the blackout last week. I talk to Greg Steele, a lawyer in South Carolina about what it is that we can even do about the power that Google, Facebook, and Amazon have over all information. Spoiler: Probably nothing. Greg also brings us insights from the world of Law Firm Advertising, a world known for cheesy commercials. Now that people are watching TV less and less, where do lawyer ads go from here? Referenced Clips: Alex Jones/Bon Iver mashup Jamie Casino Lawyer Super Bowl Ad Facebook Congressional Hearing Google Congressional Hearing Follow Will Malone on Instagram Check out the Print Shop on willmalone.com, use promo code WMP20 for 20% off your purchase. Sign up for the Will Malone Photography newsletter for deals on photography packages, print promos, and other content. Hope you’re have a great 2019! I’m changing things around a bit due to my busy schedule and respect for yours. I will be treating this like a TV show and release it in seasons rather than every single week right now. Listen for more info on that, the future and my thoughts about the photo industry. Pardon my out of breath-ness I recorded this quickly right after a work out. You can follow me as always on Instagram @willmalone and my website is willmalone.com! Seeya soon! Will has his wife on the show to talk about moving from Chattanooga, TN to Greenville, SC, their upcoming cross country trip, and why Will is anti-multiple Instagram accounts. 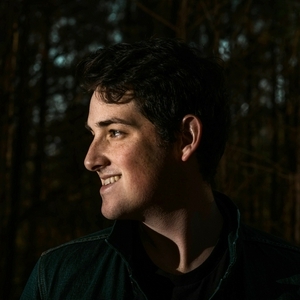 Follow Will on Instagram: @willmalone, and go to willmalone.com for show notes and other comings and goings. here's a sneak peek of episode 1, where kelsey west tells us about a "shocking" sociology experiment. episode 0: who am i and what is this? 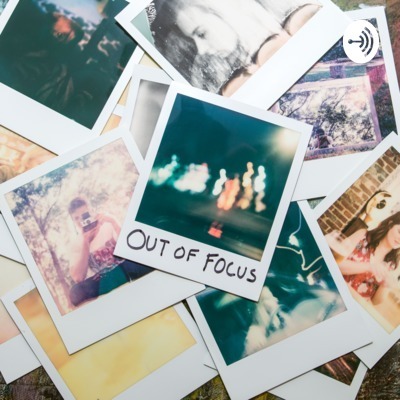 welcome to out of focus, a photography podcast for everyone! in this podcast we'll talk photography, but i'll also be talking to people in different fields other than my own. i'm a portrait photographer for a living, and i'm very excited to get started. stay tuned for episode 1 coming soon!!!!! my instagram: @willmalone my website: willmalone.com see you soon!